It maintains balanced and healthy aquatic ecosystems. 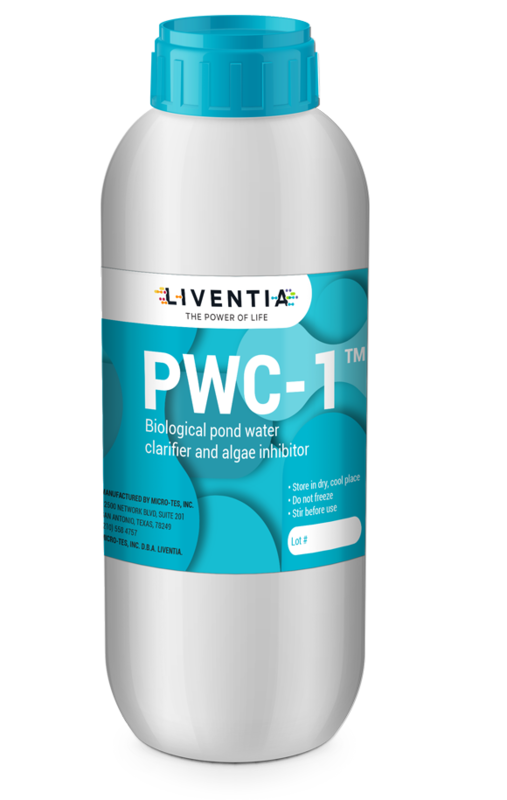 PWC-1™ is a completely natural biological product, designed to improve water quality and inhibit pathogens in commercial aquariums. PWC-1™ contains 18 species of beneficial microorganisms, which have not been genetically modified, belonging to the genus Acinetobacter, Bacillus, Citrobacter, Enterococcus, Nitratireductor, Pseudomonas and Pseudoxanthomonas. Reduces the presence of algae. Eliminates the formation and accumulation of organic sludge. Harmless for fish, crustaceans and other aquatic vertebrates.